As usual, I’m a little behind in my posts here. Sarah was my read for Hurricane Sandy; we lucked out and didn’t lose any power, but we did lose cable and internet. So, we had plenty of light and a lack of external distractions (well, except for high winds and falling trees…) to encourage reading. Needless to say, I powered through this book in about two days despite not really enjoying it as much as I wanted to. One part of the book that I found exceedingly annoying is the fact that the reader is basically reminded every two pages just how beautiful Sarah is. And she’s beautiful for her figure, face, and the fact that she doesn’t age. She’s beautiful from the very beginning, but she stops aging after she takes some witch’s elixir to make her infertile. Perhaps I’m too sensitive, but I found the aspects that apparently made her so beautiful and desired were her not aging and never going through the changes that occur to a woman’s body with aging and childbirth. Granted, Sarah struggled with not being able to age, but… it just became a little much. My annoyance is probably partially my own fault and due to my ignorance about the Biblical tale of Sarah. And, thanks to my ignorance, I can’t report on how true to the Bible this novel is. I can tell you that it’s a huge bestseller and written well. Regardless of how annoying I found the book at time, I still (overall) found enjoyment in reading it. However, I would recommend reading The Red Tent with much more enthusiasm to anyone searching for a historical fiction about Old Testament women. At this point, I’ll probably venture to read the remaining books in the trilogy, but I’ll probably put them off for a few months. Sarah’s story begins in the cradle of civilization: the Sumerian city-state of Ur, a land of desert heat, towering gardens, and immense wealth. The daughter of a powerful lord, Sarah balks at the marriage her father has planned for her. On her wedding day, she impulsively ﬂees to the vast, empty marshes outside the city walls, where she meets a young man named Abram, son of a tribe of outsiders. 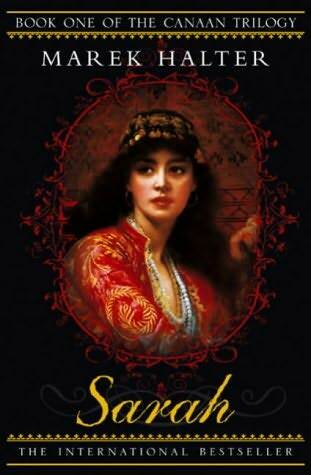 Drawn to this exotic stranger, Sarah spends one night with him and reluctantly returns to her father’s house. But on her return, she secretly drinks a poisonous potion that will make her barren and thus unﬁt for marriage. Many years later, Abram returns to Ur and discovers that the lost, rebellious girl from the marsh has been transformed into a splendid woman—the high priestess of the goddess Ishtar. But Sarah gives up her exalted life to join Abram’s tribe and follow the one true God, an invisible deity who speaks only to Abram. It is then that her journey truly begins. From the great ziggurat of Ishtar to the fertile valleys of Canaan to the bedchamber of the mighty Pharaoh himself, Sarah’s story reveals an ancient world full of beauty, intrigue, and miracles. You can visit Marek Halter’s Amazon.com Author Page for more information. Boston medical examiner Dr. Maura Isles literally meets her match–and must face a savage serial killer and shattering personal revelations–in the brilliant new novel of suspense by the New York Times bestselling author of The Surgeon and The Sinner. Dr. Maura Isles makes her living dealing with death. As a pathologist in a major metropolitan city, she has seen more than her share of corpses every day–many of them victims of violent murder. But never before has her blood run cold, and never has the grim expression “dead ringer” rung so terrifyingly true. Because never before has the lifeless body on the medical examiner’s table been her own. Yet there can be no denying the mind-reeling evidence before her shocked eyes and those of her colleagues, including Detective Jane Rizzoli: the woman found shot to death outside Maura’s home is the mirror image of Maura, down to the most intimate physical nuances. Even more chilling is the discovery that they share the same birth date and blood type. For the stunned Maura, an only child, there can be just one explanation. And when a DNA test confirms that Maura’s mysterious doppelgänger is in fact her twin sister, an already bizarre murder investigation becomes a disturbing and dangerous excursion into a past full of dark secrets. Searching for answers, Maura is drawn to a seaside town in Maine where other horrifying surprises await. But perhaps more frightening, an unknown murderer is at large on a cross-country killing spree. To stop the massacre and uncover the twisted truth about her own roots, Maura must probe her first living subject: the mother that she never knew . . . an icy and cunning woman who could be responsible for giving Maura life–and who just may have a plan to take it away. This is the first book in the series where the reader really gets a closer look at Maura Isles. The character from the novels is incredibly different from the character on the television show, but she is definitely my favorite character in both. So, needless to say, I was ecstatic to see that the book started out from the POV of Isles. 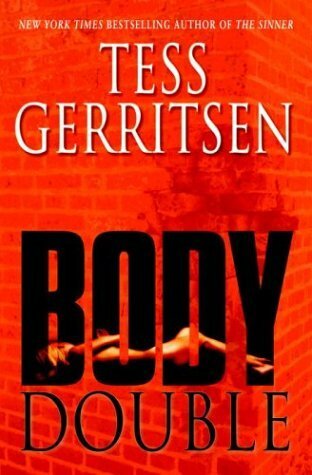 Besides loving this book for being Isles-centric, disturbing, and, well, full of everything that I’ve come to love about Gerritsen’s novels, this book felt even more “Girl Power-y” to me than the preceding novels. Specifically, there is a lot of focus on motherhood and the question of what makes a mother. Is it merely passing your genes onto a child? Is it the fact that you carry a child in your womb for 9 months? Or is it the instinct to protect your child at any and all costs? There were times that I choked up while reading this novel and there were many times that I wanted to cheer for the feminine strength being displayed by each of the characters. I very much look forward to the next installment in the series! I am a huge fan of the Stieg Larsson novels but was a little late to the party on those and incredibly upset to discover that Stieg Larsson passed away. I have a terrible tendency to become really enthusiastic about authors who are no longer alive and, unlike some popular musical artists, cannot produce anymore work postmortem. Luckily for me, however, Larsson’s novels are loved by millions and my local library seized his popularity and created a list of OTHER Norwegian crime writers that Larsson’s fans might enjoy. 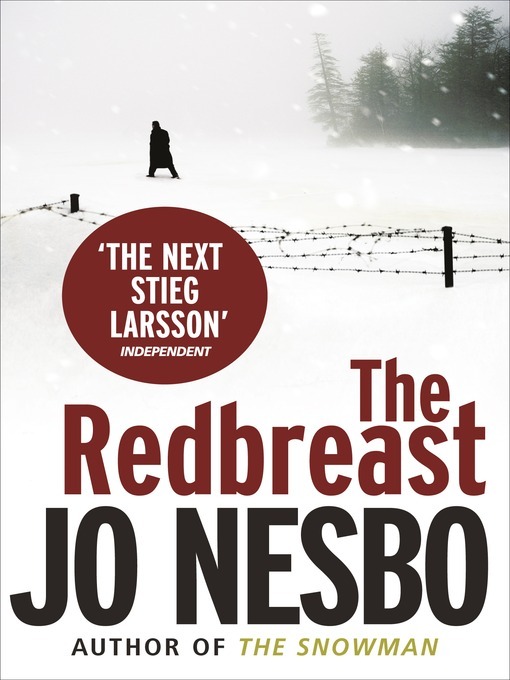 A co-worker recommended Nesbo to me a while ago – specifically, The Snowman. At the time, I possessed a very long “to-read” list and threw it somewhere near the bottom. When I saw his name show up on the library’s recommended authors list, though, I knew that it was time to do a little research. Detective Harry Hole embarrassed the force, and for his sins he’s been reassigned to mundane surveillance tasks. But while monitoring neo-Nazi activities in Oslo, Hole is inadvertently drawn into a mystery with deep roots in Norway’s dark past, when members of the government willingly collaborated with Nazi Germany. More than sixty years later, this black mark won’t wash away—and disgraced old soldiers who once survived a brutal Russian winter are being murdered, one by one. Now, with only a stained and guilty conscience to guide him, an angry, alcoholic, error-prone policeman must make his way safely past the traps and mirrors of a twisted criminal mind. For a conspiracy is taking rapid and hideous shape around Hole . . . and Norway’s darkest hour may be still to come. So, not only do I get a Scandinavian crime novel but there are also some time-ins to WWII? And the main character is named Harry Hole? Whoa. Sign me up. I enjoyed the format of the novel – each chapter is a different date and location. Nesbo hops around from present to past and, if I hadn’t read the summary of the novel, I probably would have been completely lost for the first 50 pages or so. And, while reading, I was dragged through the gamut of emotions – humor, distress, sadness, frustration, and happiness. Don’t expect to read something that is literally just like the Millennium Series. I found that the parallels are mainly found in the fact that both authors touch upon politics in their novels and they take place in the same region of Europe. 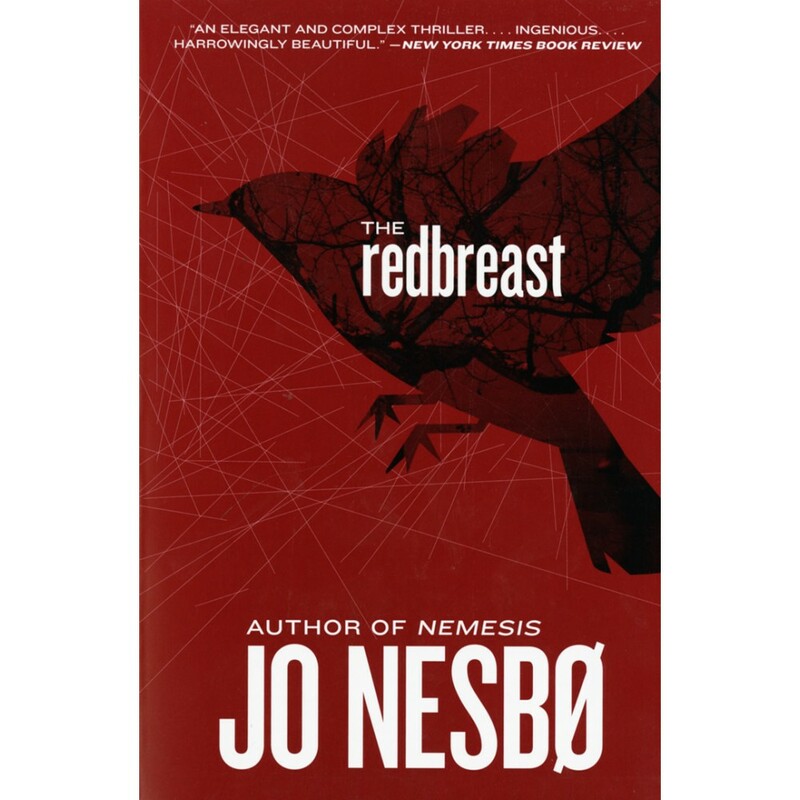 Nesbo is worth reading for his own talent and shouldn’t really be compared to Larsson in this regard. I look forward to reading the rest of his novels and seeing where they take our beloved Harry Hole. I guess that No Other Appetite is just emerging from some sort of unannounced hiatus… So, hello! I’ve missed writing and now that our move is kinda sorta winding down and we’re settling in, I hope to resume writing with the same frequency that I had going leading up to the insanity of house-buying. Over the past few months, I have read as much as possible, so I have a few books to write up about over the next few weeks. Currently, however, I’m soldiering through Game of Thrones due to my recent obsession with the television show. While tackling a novel as LONG as this one (coupled with the big move) possibly derails me from surpassing my goal of reading 45 books this year, it’s proving to be well worth that sacrifice. 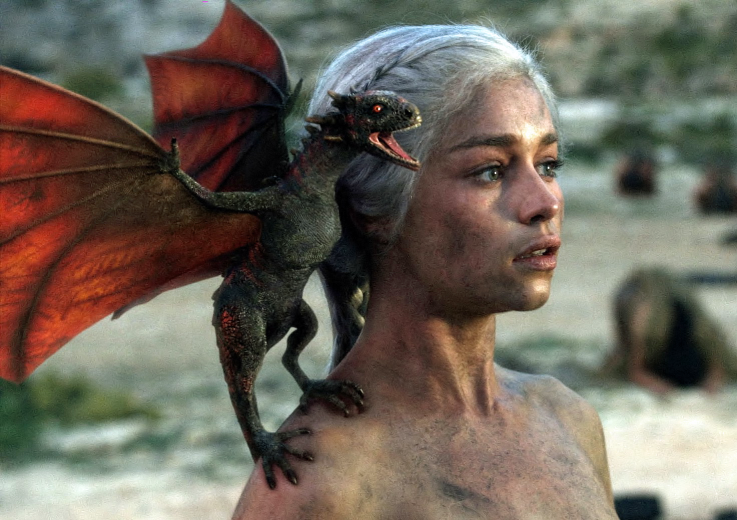 While I am far away from being in a position to write my review/reactions to the novel, I can share that my favorite character (and who I am personally rooting for to win the Game) is Danaerys Targaryen (AKA Khaleesi or Mother of Dragons). I ran a few internet searches for sites dedicated to her (while trying my best to not read too much history on her character as I don’t want to ruin what may or may not happen…) and found a few nifty sites that I am going to share here. 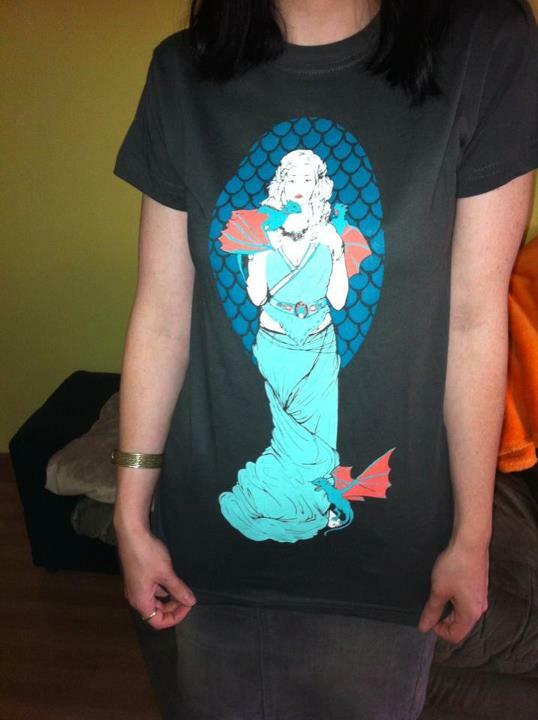 Because, let’s face it, Dany wears some cool duds: What Would Khaleesi Wear? I will say – I haven’t been this excited about a specific literary character since Lisbeth in the Millennium trilogy. Despite being an avid fan of Anne Boleyn, I have a soft spot for Katharine of Aragon. How could you not? Despite being a princess, she lived a pretty difficult and upsetting life, though – as I choose to believe (which I state because I have yet to read a 100% non-fiction account of her life) – managed to maintain dignity and courage throughout everything. 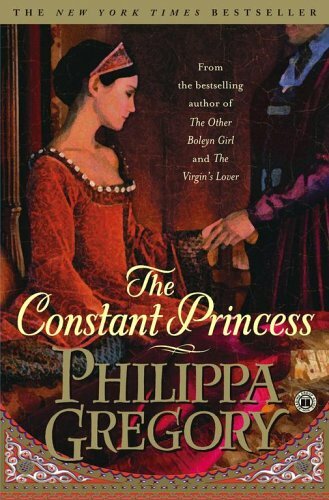 Before I realized that there could be an actually appropriate order to reading Philippa Gregor’s Tudor novels, I read The Other Boleyn Girl – mostly to feed my ever-growing fascination with Anne Boleyn. Despite becoming somewhat annoyed with how Gregory portrayed Boleyn, I very much enjoyed her storytelling and set myself a goal of reading them all – except going back one book first, in order to read them in order (which you can reference in my previously posted author spotlight on Gregory). A few weeks ago, I finally put The Constant Princess on order at the library, received my notification that it was in, and then devoured the novel in a week – despite the somewhat chaotic, consuming (yet good!) stuff going on right now. Once again, there were some elements of the story that I didn’t feel too enthusiastic about, I continue to enjoy Gregory’s storytelling and will hold to my goal of reading the remainder Tudor novels she has written. One part that I didn’t fully enjoy is the portrayal of Katharine’s relationship with Arthur. Possibly because her story is so tragic, I prefer to believe that they didn’t have the opportunity to fall in love, consummate the marriage, and share their hopes and dreams for England with each other. With that said, and totally ignoring what I’d like to personally believe was the reality, I thoroughly enjoyed their actual love story in the novel. It is incredibly sweet and makes the remaining trials and tribulations of her life all the more sad. The novel also paints more of a picture of King Henry VII and his mother than I’ve seen (so far), which was enjoyable to read. We get to see Henry VIII as young Harry, completely spoilt, coddled, and somewhat jealous of his older brother. The reader witnesses the ups and downs of the start of his marriage to Katharine and the ending bleeds a little into the events from the time of Anne Boleyn, but only enough to give you a taste for the drama to come in future novels. So, once again, this is a book that I would recommend to anyone who is interested in the Tudors (though don’t expect this to be a bona fide history lesson) or just enjoys historical fiction, no matter the era. Ever since I first learned about the Amish community, I have been fascinated. Pair this with the fact that, for some reason or another, the covers of the Abram’s Daughters have always been appealing to me. And, as I’ve mentioned in the past, I am guilty of judging books by their covers. So, on my last trip to the library, I wanted to pick out a book in addition to The Stepford Wives and stumbled across the first book in the series! Book 1 of Abram’s Daughters series from bestselling author Beverly Lewis. Years of secrecy bind the tiny community of Gobbler’s Knob together more than the present inhabitants know, and the Plain folk who farm the land rarely interact with the fancy locals. So when Sadie is beguiled by a dark-haired English boy, it is Sadie’s younger sister, Leah, who suffers from her sister’s shameful loss of innocence. And what of Leah’s sweetheart, Jonas Mast, sent to Ohio under the Bishop’s command? Drawn into an incomprehensible pact with her older sister, Leah finds her dreams spinning out of control, even as she clings desperately to the promises of God. The Covenant begins a powerful Lancaster portrait of the power of family and the miracle of hope. First, I will say that I am both proud and happy that I powered through this book to the end. The story is very slow-paced and the majority of the first 150 pages or so feel more like a lesson on the daily lives of the Amish more-so than the beginning of a riveting fictional tale. But, as I said, I’m fascinated by Amish culture and was determined to not abandon this book halfway through. My perseverance paid off the closer I neared the end – the pace picked up, MAJOR drama unfolded, and there was even a little bit of romance sprinkled in there. The story leaves off at the perfect time for leaving the reader wanting to leap into the second installment. Yes, in fact, the last half of the book makes you forget just how slow the beginning was. THAT much happens. While I will hold off a few months or so before getting started on the second book, I’ll definitely give it a try. I foresee enjoying it, especially if the pace mirrors the second half of The Covenant and not the first half. As I have mentioned many times (most recently, perhaps, right before my vacation? ), I am enthusiastic about Tudors history – both fictional and real, actual history. To further feed this obsession, I scoured GoodReads for any and all books that I could find. Not too far into my search, not surprisingly, I came across Jean Plaidy’s name and the seemingly never-ending list of titles. The books that I wanted to start with are the three about Katharine of Aragon – Spanish Princess, English Queen, and the first lady unlucky enough to NOT provide Henry the VIII with a strapping young son. While I know that the Showtime series isn’t the most historically accurate account out there, I was drawn to their portrayal of her and immediately felt some warmth towards her personality and story. 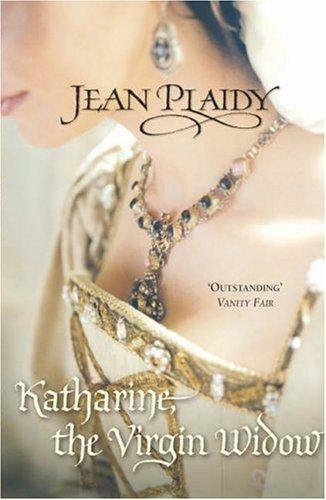 While I have yet to read an actual biography about her, the fictional accounts of her that I’ve encountered so far (The Other Boleyn Girl and these books by Jean Plaidy) paint her in a similar way to the show, leading me to believe that she truly was a kind-hearted, spiritual woman who commanded respect and honor. Reading Plaidy’s novels felt like I was reading closer to an actual historical account of the happenings in the Tudor court than when reading The Other Boleyn Girl. Because of this, while still enjoyable, it took a little longer to get through them. There is a fair amount of dialogue and action, however, and the keeps the books an entertaining read. And while the story is undoubtedly focused on Katharine of Aragon, she doesn’t hold back from sharing a glimpse into what King Henry VIII, Cardinal Wolsey, and the rest of the major players are up to, thinking, or plotting. The version that I purchased (published by Three Rivers Press, featuring an awesome reading guide/questions) is the only version to contain the entire trilogy covering Queen Katharine’s story from her arrival in England from Spain in 1501 (to marry the young and sickly Prince Arthur) until her own heart breaking death on January 7th, 1536. Let’s take a closer look at the three individual books in this volume…. THE INFANTA OF SPAIN WAS A TRUE PRIZE. 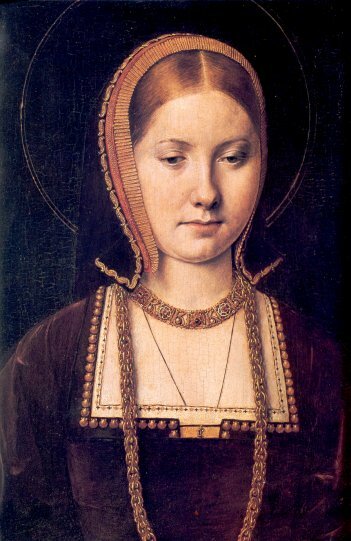 In the eyes of the world, Katharine of Aragon was a precious object to be disposed of for the glory of Spain. Her parents, Queen Isabella and King Ferdinand, send her to England to become the bride of Arthur, Prince of Wales. But soon her frail husband was dead, and a fateful question loomed: Was the marriage consummated, as Katharine’s priest avowed, or was the young widow still a virgin? On that delicate point hinged Katharine’s–and England’s–future. Meanwhile, waiting in the wings was her willful, handsome brother-in-law, bold Prince Henry, who alone had the power to restore Katharine’s lost position. 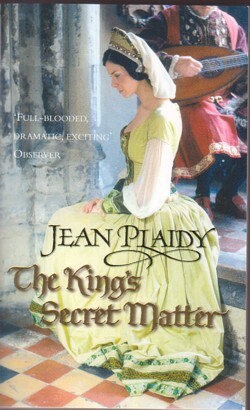 Jean Plaidy’s narrative genius sparkles in this story of a remarkable royal marriage that inspired some of history’s bloodiest deeds . . . I struggled slightly to get into the first book, but, really, only because I needed to adjust to the third person narrative (I’m a sucker for first person…). The story begins with an introduction to the children of King Henry VII and Elizabeth of York during a horrific scene in which the king’s best dogs fight lions to the death. This scene, in all its gruesome detail, sets the reader up for the plight of anyone else’s wish (or bravery) placed against that of a king’s. When the dogs win, they still lose because they dared stand up against the king of all animals. It’s important for all to know, and heed, their place in the social order. At the beginning of the stories, the children are awaiting (quite eagerly) the arrival of the Infanta from Spain – a young girl born from the honorable Queen Isabella and her consort, Ferdinand. Briefly, upon arrival (and after settling in), Katharine grows accustomed to the young prince she is set to marry. He’s kind, shy, faithful, and does not appear to have a cruel bone in his body. Everything changes when he dies during an outbreak of the sweating disease, however. This is when Katharine enters into the first troublesome period of her life. Forced into living without any allowance, she stays in a house with her ladies in waiting and servants, unable to pay them and unable to leave to return to Spain. Her future is full of uncertainty and relies upon the whims of a fickle and greedy King. The marriage of Katharine of Aragon and King Henry VIII was a match made in heaven. But hardly were they wed when powerful people in Henry’s court started spinning webs of intrigue around the innocent royal pair. King Henry VIII is still a young man. He loves games, dressing up, and proving to his people that he loves them. Some of actions seem brazen while all of actions seem highly juvenile. Above all else, though, he yearns to have a son and is confidant that he and Queen Katharine will produce many. Only time will tell, though, as their first child born is, in fact, a son, but dies only after a very short time of being alive. As we all know now, they never have a son. Instead they have a healthy, intelligent, and highly talented daughter Mary. If only she were born a boy… is a thought that is repeated throughout this book. Katharine, alone, seems to be able to find the tenderness in his eyes and is willing to see him with a greater filter of warmth than most others might be willing to. Perhaps even greater to her love for him, however, she adores her daughter and is devoted to protecting her interests. The second book also brings the rise of Cardinal Wolsey, who acts as a major influence in directing the course of the king’s life – all with the intent of progressing his own interests.. The second book also brings an increase in the tumult that is King Henry VIII’s moods. His rage flares up and, once aggravated, seems to know no bounds. The longer he goes without a son, or, as he sees it, a legitimate heir to the throne, the angrier and less reasonable he becomes. 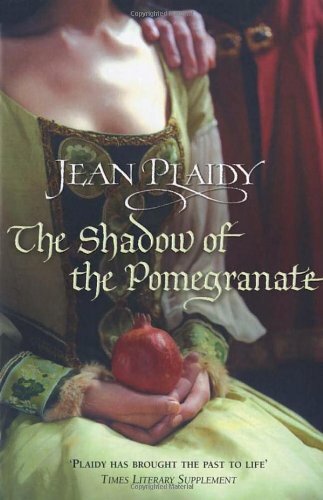 By the end of the The Shadow of the Pomegranate (which, by the way, is Katharine’s symbol, which is representative of fertility – cruel irony) with the King’s infidelity becoming public knowledge and an accepted fact of how things are going to be. Bessie Blount, his favored mistress in the court, produces him with a son, whom he names Henry Fitzroy. The affair and child are both flaunted in front of Katharine, but she maintains composure and finds solace in the fact that she is the Queen of England, beloved of the people. 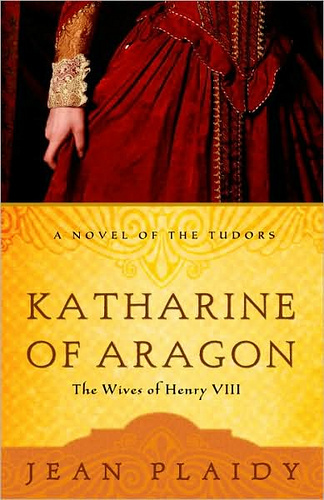 The personalities and intrigues of the English royal court are brought to vivid life in this tale of Katharine of Aragon, the first wife of Henry VIII. The twelve-year marriage of Henry and Katharine has declined from an idyllic union into an uneasy stalemate. The king’s love for his aging queen has grown cold, and he is angry with her failure to give him the heir to the throne he desperately wants. When the seductive Anne Boleyn arrives at court, the king is captivated by her dark beauty and bold spirit, and becomes obsessed with his desire to possess her. With his chief advisor, Cardinal Wolsey, the king devises a secret plot to declare the marriage with Katharine null and void. But Katharine refuses to surrender to his wishes and fights desperately to retain her title and safeguard her daughter, Mary. The ensuing power struggle is one of the turning points in English history, and these pages capture it in spellbinding detail. We can all guess what happens in the third book, The King’s Secret Matter, can’t we? The state of Katharine’s life is in rapid decline. The king barely visits her. Her nephew, the emperor, constantly breaks promises with King Henry VIII, thus, creating a distaste for all thing Spanish in his eyes – his wife being one of those “things”. There are countless women in court who jump at the chance to sleep with the King and he is more than happy to make their wildest dreams come true. And, as in any royal story, people are unceasingly plotting, planning, and seeking ways to further their own interests, at no matter what cost to others. Unfortunately, for Queen Katharine, there aren’t many in the court able to fight for her interests since her interests are contrary to the King’s. And, in this book, he does not shy away from sending “traitors” to the chopping block. By the final page, we have bid adieu to the majority of the original players and are faced with a new set taking center stage. And at the very center of that stage is Anne Boleyn (or, as it appears the people of England call her, Nan Bullen). Katharine, once a woman to know all of the comforts and honors of a Queen, dies in a dank, lonesome building, far away from her daughter, Mary. Throughout all of her protestations against the King’s cry that their marriage was never valid, she cared most about preserving her daughter’s honor, dignity, and name. These books increased my admiration and love for Katharine of Aragon. They also made me feel even more excited to learn more about this period of English history. Additionally, I will also read more of Jean Plaidy’s novels. Her writing is clean and leaves you feeling like you actually, possibly, learned something. Are you interested in the Tudors? Which authors do you prefer? Frankly, our ancestors don’t seem much to brag about. I mean, look at the state they left us in, with the wars and the broken planet. Clearly, they didn’t care about what would happen to the people who came after them. The Hunger Games on Amazon. I don’t want to sound like a broken record, but… I loved this book! As I was reading through the 2nd book, I wasn’t entirely sure where Collins was going to go with the final installment, but I was both surprised and delighted with the direction that she chose. I don’t want to ruin this for anyone who stumbles across my blog and had yet to read the trilogy, so I’ll apologize if I get vague at any point! There were some elements and twists in the book that I’m guessing some readers could have seen coming, but, honestly, I didn’t. Every character who died, survived, ended up here or there was a complete surprise to me. There were far fewer happier moments in this book and the scenes got progressively more gruesome (if you can imagine that after the first two Games). BUT all of the above was served up in the right portion to keep me reading and wanting more. There is one portion of the novel, towards the very end, when an important and rather emotional scene takes places that I wasn’t 100% pleased by how it was presented – it felt a little rushed and slightly informal. Though, at the same time, I can see how the format the information was presented in could be in line with how the narrator would probably have to relay the details. So, I guess that my one “gripe” isn’t a real full-on gripe. Even though this book is quite obviously fiction (and possibly even a little fantasy, at that), I continue to see some parallels between the world and society of Panem and our current world. I feel like there are many excellent lessons within these three books and I’m excited by the fact that this series is so widely popular, especially with teenagers. 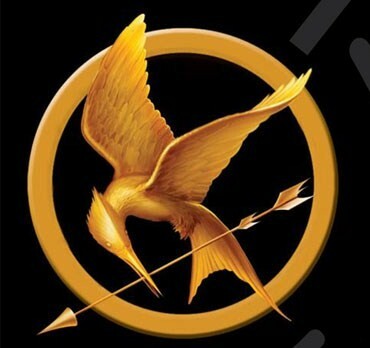 In the end, looking back through the novels, I fell in love with characters of Katniss and Peeta. 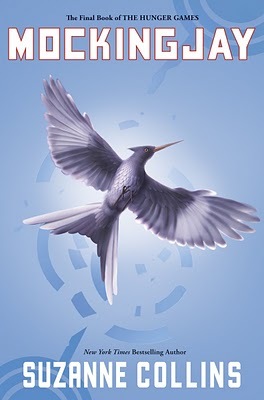 I rarely end a book and feel a little bit of longing for the characters that I leave behind when shutting the cover, but I definitely felt it with The Hunger Games. Now I’ll just have to sit tight until March when the first film is released in the theaters. The trailer gives me chills. What were your thoughts on these books? Are you going to see the movie(s)? I didn’t waste any time between completion of the first installment and this book either. I was hooked. I wanted to read on to find out what was going to happen to Katniss, Peeta ,and all of Panem. Book #2 definitely has its shocking points. I won’t lie, it took me probably about 70-75 pages to get as into the story as I was from page 1 in the first book. But, once I did get really into it, I couldn’t put the book down. I don’t want to go into too many details, though, just in case someone is reading this who has yet to read the books (and plans on it), but I will say that there are many twists and turns in the book. Some that you’ll possibly see coming and some that you won’t. And Katniss is a little less clueless in this book, so it was a rare feeling of wanting to shake her and point out the obvious that she’s overlooking. So, I can see why people don’t enjoy this book as much as the first one. I’d have to say that I, also, prefer the first book to the second, but they’re very close. I’ve started in on book #3, which people seem to like the least. It’s too soon for me to make a call, but I’m excited to find out. 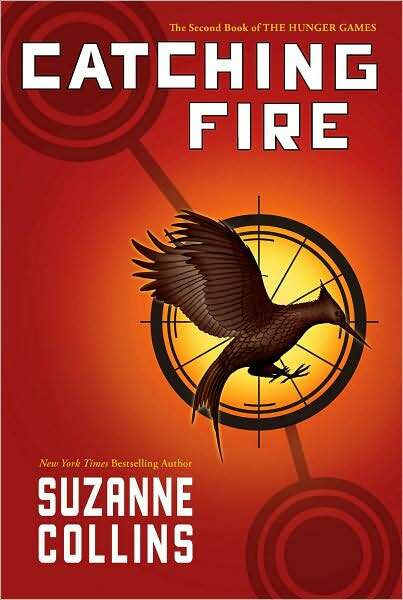 Check out The Hunger Games: Catching Fire on Amazon.